Video of April 10 Zoning Training will appear here. 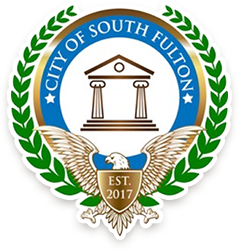 South Fulton hosts Community Zoning Information Meetings (CZIM) at City Hall to allow developers & other zoning applicants to provide information to the community regarding upcoming zoning applications. Anyone ask questions and/or express concerns. Please feel free to share this information with your neighbors and other pertinent groups. City of South Fulton Community holds several, public information sessions and zoning hearing in which residents can voice their concerns about new construction & development in our area, as well as dealing with violation of city codes regarding commercial & residential property. Each of the hearings is handled by a board of South Fulton Residents, appointed by members of City Council. The length of the term of each board appointee is the same as the City Councilperson who appointed them. View the meeting schedules & descriptions below. Zoning Information Meetings (CZIM) are usually Thursdays at 6PM at City Hall and allow residents to review the proposed plans of developers and individuals seeking zoning applications from the city. Residents are encouraged to come ask questions and express their concerns. Planning Commission Hearings are usually 3rd Tuesdays at 6:30PM at the South Fulton Service Center (5600 Stonewall Tell Rd, College Park, GA 30349). The Planning Commission is a recommending body only. All Planning Commission recommendations are forwarded to Mayor & Council for final vote.​Zoning Board of Appeals (ZBA) Hearings are usually 3rd Thursdays at 1:00PM at the South Fulton Service Center (5600 Stonewall Tell Rd, College Park, GA 30349). Decisions made by the Planning Commission may be appealed to the ZBA. Mayor & Council Zoning Hearings are usually 4th Tuesdays at 7:00PM at the South Fulton Service Center (5600 Stonewall Tell Rd, College Park, GA 30349). City Council rulings are final, and appeals on their rulings must be made to Fulton County's Superior Court. Is there a house or lot in your neighborhood that has been abandoned, burned down, used as a dumping ground, or suffers from some other extreme code violation(s)? Is there a big rig driving down or parking on our newly paved city streets? Our Truck Ordinance prohibits trucks from traveling most city streets, except State Routes like Old National (279), Jonesboro Rd (138), Roosevelt Hwy (29), Camp Creek (6), South Fulton Pkwy, (14) or Campbellton-Fairburn Rd (154/92). ​Please use the Form & Picture Uploader below to notify me of any issues in your neighborhood. You do not have to leave your name or any identifying/contact information unless you would like an update or response.